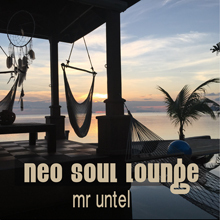 The new album by Mr Untel is inspired from the Neo Soul modern afro-american music movement. While Neo soul tempo is definitely slower and all the more sensual, most of the traditional soul musicians still contribute: Bass, drums, both electrical and acoustic Guitar and Piano, classic strings, and 70s synthesizers. With its enticing sophistication and urban chic touch, Neo Soul will definitely make the cut to stylish track lists at pool and sunset party. It will as well perfectly accompany the privileged chill-out moment you definitely earned.